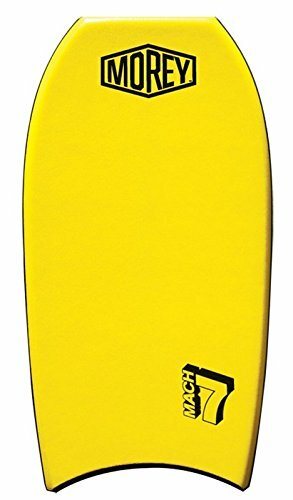 The moray Mach 7 42 body board features a down core high density closed cell polyethylene core, 8 lb. 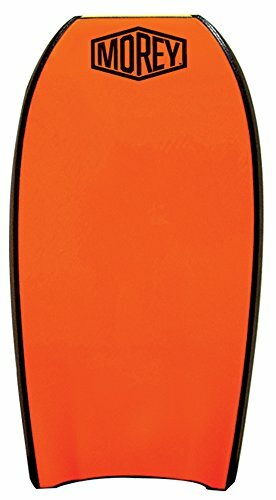 tc8 polyethylene top skin deck, hope high density polyethylene slick body board bottom with channels, a power rod stringer that gives the board solid reinforced strength, a crescent tail body board tail, and is ideal for riders approximately 160 – 180 lbs. and less and 5′-9″ – 6′-0″ tall.